Welcome to Roseneath, a beautiful, history enriched, residential suburb just minutes from the CBD of Wellington, New Zealand's capital city. Overlooking Wellington's beautiful harbour, Roseneath is nestled into the steep hillside of Mount Victoria and connects the Townbelt and Mt Victoria with Oriental Bay. Whether you live in our neighbourhood, or are just interested in the area, we hope this site will provide you with everything you need to know about visiting Roseneath and getting involved in our community. Not only is Roseneath a great place to live, it's also a great place to visit. A beautiful, history enriched, residential suburb just minutes from the CBD of Wellington, Roseneath is easy to get to on foot, by public transport or in your own vehicle. With beautiful views of Wellington harbour, the Miramar peninsula and Matiu Island, a leisurely stroll around our winding streets and lush green walking paths is a must during your visit to Wellington. Roseneath is a predominantly residential suburb that's home to young families, retirees, professionals and more. With a range of rental properties available in the area, there's often new faces around, but there are some people who have lived in the suburb for many years and are a wealth of knowledge about the area. If you’re new to the Roseneath and want to be involved in local matters and to get to know your neighbours then why not join the Roseneath Residents' Association. There’s a variety of businesses that operate in the Roseneath area, both from commercial premises and also from home. We want our kids to be safe, our neighbours to be friends and our community to be vibrant. Why not join the Roseneath Residents Association and get involved with your community? 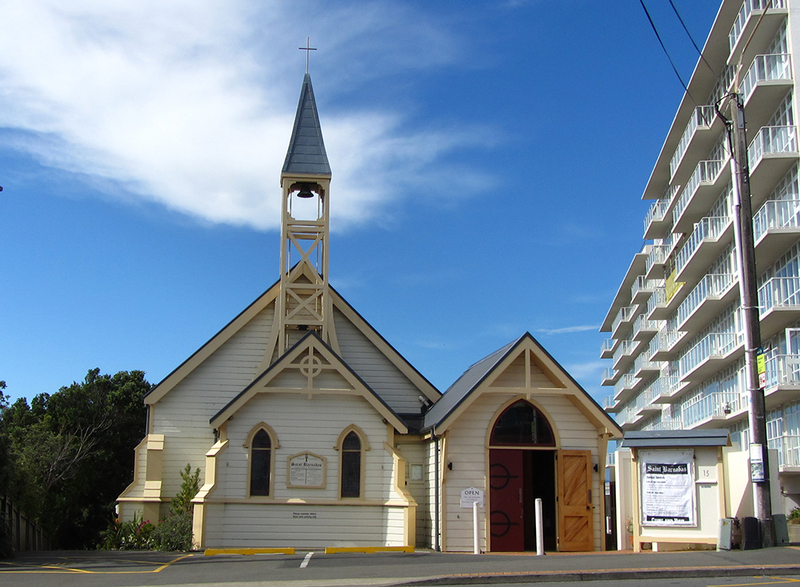 Nestled in the centre of Roseneath is the Anglo-Catholic Church of St Barnabas. Conveniently located near the bus stop on Maida Vale Road, our church welcomes people from all age groups and backgrounds and services are centred around the Mass. Donations towards the upkeep of the church are always welcome, and you can show your support by becoming a Friend of St Barnabas. Come and join us for a service on Thursday or Sunday, or visit the church any day to enjoy it's peaceful ambience and beautiful architecture and stained glass windows. Get your calendar at the ready, and keep an eye out for information about our upcoming church, community, school and fundraising events. Keep up to date on all the latest happenings in and around Roseneath. Got something you want to tell the community about? Get in touch with your news stories. The suburb of Roseneath has a rich history which dates back to 1888 when the Roseneath Country Section was subdivided. Much of our suburbs history centres around happenings at Roseneath School and St Barnabas Church and the effect that World War I and II had on the local community. Learn more about the historical events that have effected Roseneath and view images from times gone by.